Reserved seating in the Main Room- Seated VIP ticket holders shall have a reserved seat for the event. For Open Bar drinks please feel free to use any of the Open Bars in Main Room. VIP table and bottle service requires payment of a mandatory Table Administration Fee (not included in ticket price). The fee is per bottle and can be pre-paid online prior to the event for $50, or at the venue the night of the event for $80. A customer service representative will reach out to facilitate pre-payment of table adminstration fee. Difference between Main Room Ultra and Main Room Platinum tables are the number of bottles, please refer to bottle chart. A customer service representative will reach out to facilitate pre-payment of table administration fee. Difference between Lounge Ultra and Lounge Platinum tables are the number of bottles, please refer to bottle chart. For Open Bar drinks please feel free to use any of the Open Bars in Main Room or private bar in the Lounge. For Open Bar drinks please feel free to use any of the Open Bars in Main Room or private bar in the Lounge available to Lounge VIP ticketholders. Difference between Mezzanine Ultra and Mezzazine Platinum tables are the number of bottles, please refer to bottle chart. Difference between Mezzanine Ultra and Mezzanine Platinum tables are the number of bottles, please refer to bottle chart. VIP table and premium bottle service requires payment of a mandatory Table Administration Fee (not included in ticket price). The fee is per bottle and can be pre-paid online prior to the event for $50, or at the venue the night of the event for $80. 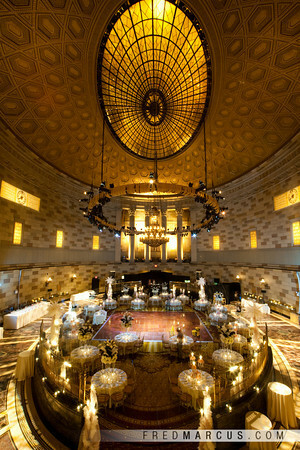 Grandeur and opulence are the hallmarks of the New Year's celebration at Gotham Hall, New York's decidedly elegant and ultra-exclusive private event venue. 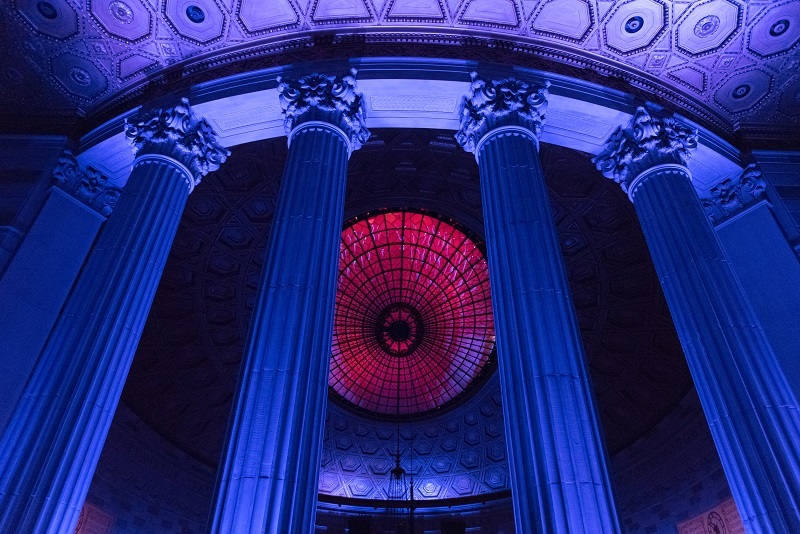 In a setting fit for New York's nobility and nightlife elite, with lofty ceilings and marbled floors, Gotham Hall's Grand Ballroom hosts an epic New Year's Eve party. For a New York City NYE party that’s equal parts majestic, elegant and luxurious, ring in the New Year and bask in the grandness at Gotham Hall. 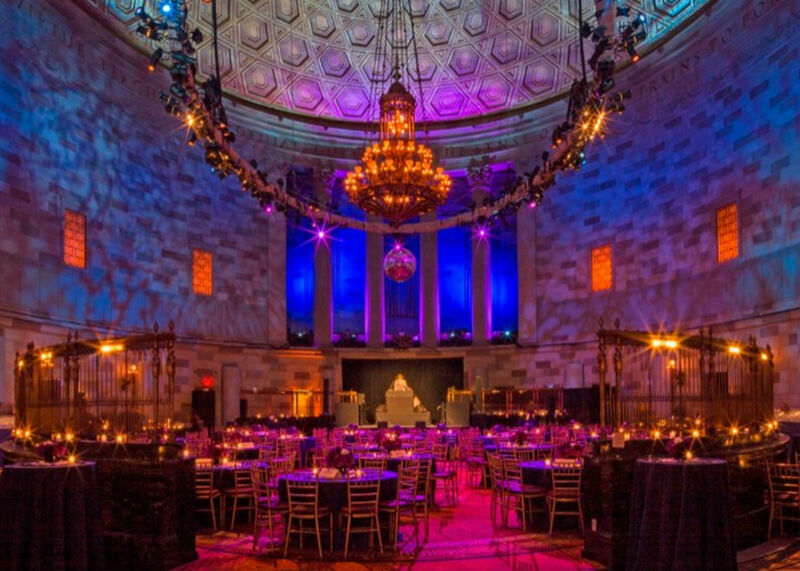 Gotham Hall opens its magnificent brass doors to you and your friends this New Year’s Eve and promises a memorable event rich with timeless class and upscale fun, after all, this New Year’s Eve event is black tie optional. Gotham's white glove hospitality will be evident throughout your glorious evening, indulge in the six-hour premium open bar where you will find a premium array of spirits, cocktails, wine and beer. 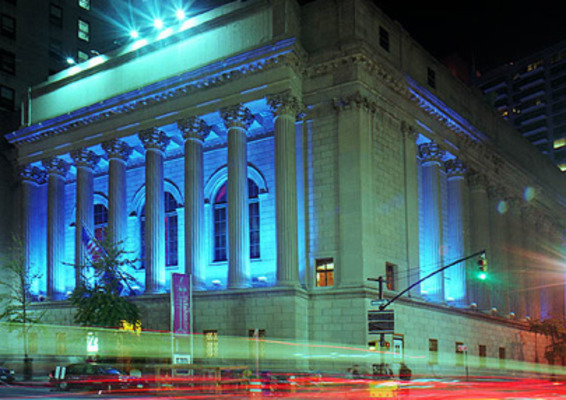 Early in the evening, you’ll have the delicious opportunity to enjoy lite fare, courtesy of Gotham Hall. As you make your way through the Grand Ballroom, dance along to the Top 40, Hip Hop and Dance beats, hand-picked for you by the live DJ. Speaking of hand-picked, don’t forget to pick up a festive New Year’s Eve party favor, on the house. With only minutes left until the New Year, the DJ will rally the crowd and lead a grand midnight countdown. A New Year’s Eve toast wouldn’t be complete without a glass of champagne, and Gotham Hall will provide a complimentary flute to each party attendee.This gracious venue has five lavish rooms for you to explore, and with the purchase of a VIP ticket, you may gain access to the Lounge and Mezzanine in addition to private Table and Bottle Service. This is one of the hottest parties on New Years Eve. 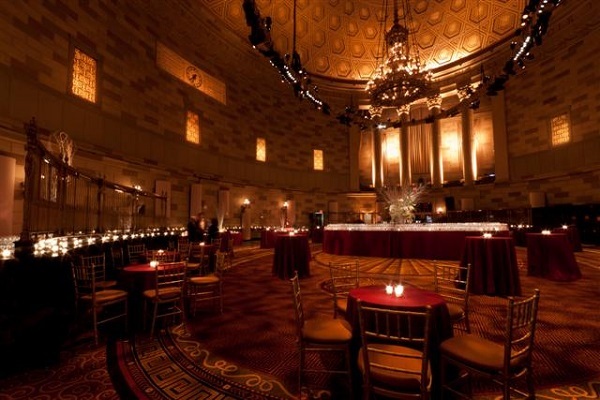 The Gotham Hall building was originally built in 1922 as the Greenwich Savings Bank, and was transformed into the phenomenal event space that New York now knows as the lovely Gotham Hall. 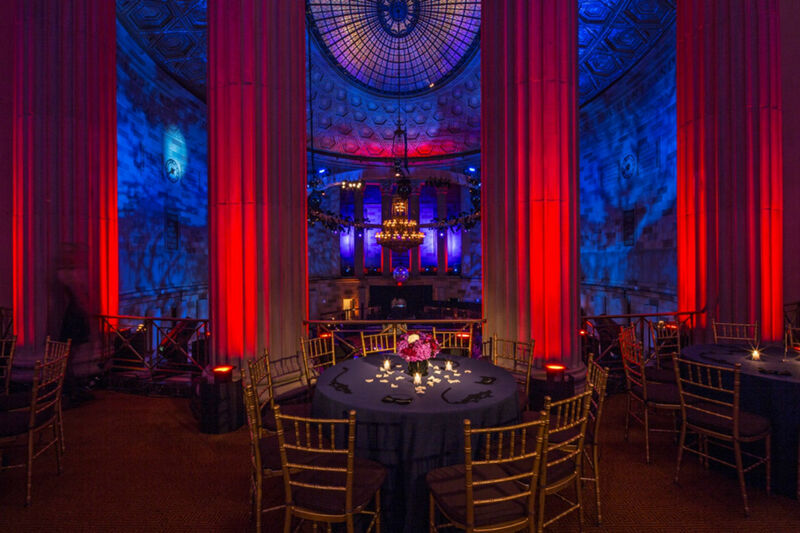 Truly one of the rarest and magnificent Grand Ballrooms in New York City, the building boasts characteristics of ancient Roman amphitheaters, intricate details inspired by Roman architecture and towering Corinthian columns. 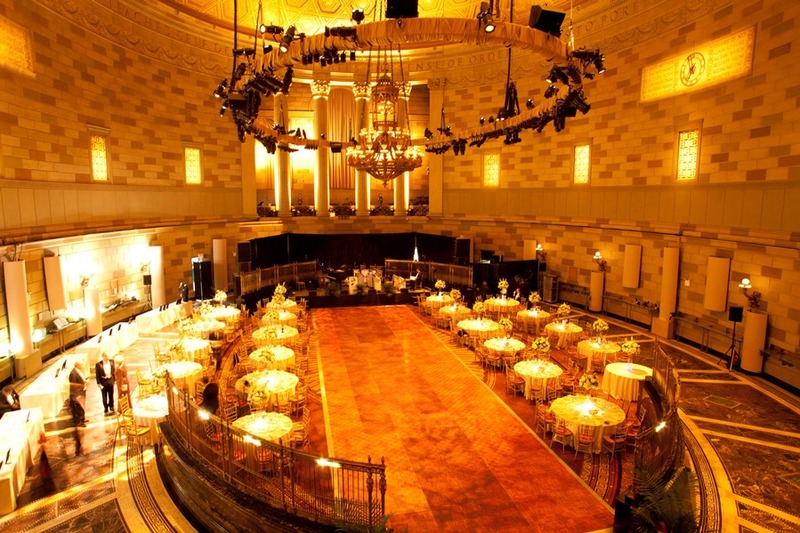 Gotham Hall houses five different massive rooms including the Grand Ballroom, the Mezzanine overlooking the Grand Ballroom, The Lounge, The Oak Room and the Mezzanine Green Room. VIP ticket-holders will have exclusive access to the Mezzanine and The Lounge on New Year’s Eve. 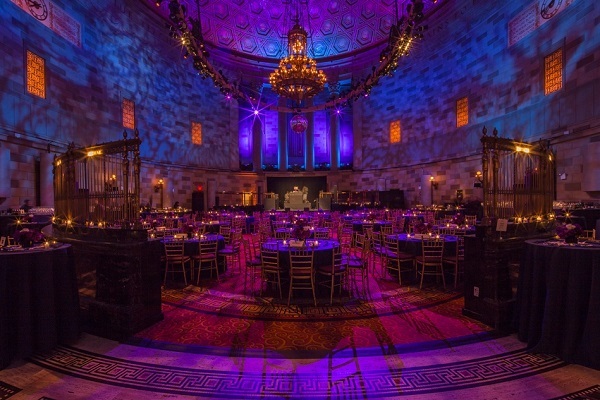 A vibrant venue for an equally vibrant crowd, Gotham Hall provides the best environment for an unforgettable New Year's Eve experience. 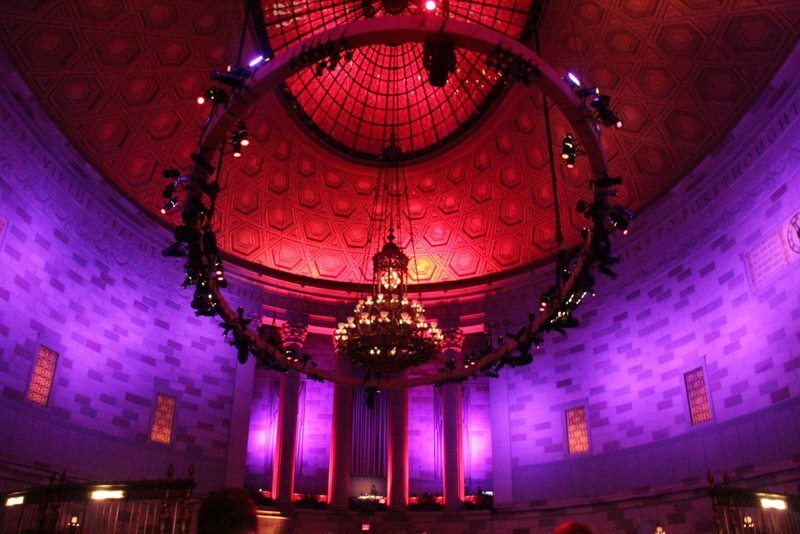 If there’s anyone who knows how to party in true New York style, it’s Kim Kardashian, The Jones Brothers and Kelly Osbourne—all of whom have had the chance to enjoy the opulence of Gotham Hall. This New Year’s Eve, we want you to enjoy it too—so assemble your entourage and head out for a New Year’s night on the town at Gotham Hall, NYC. 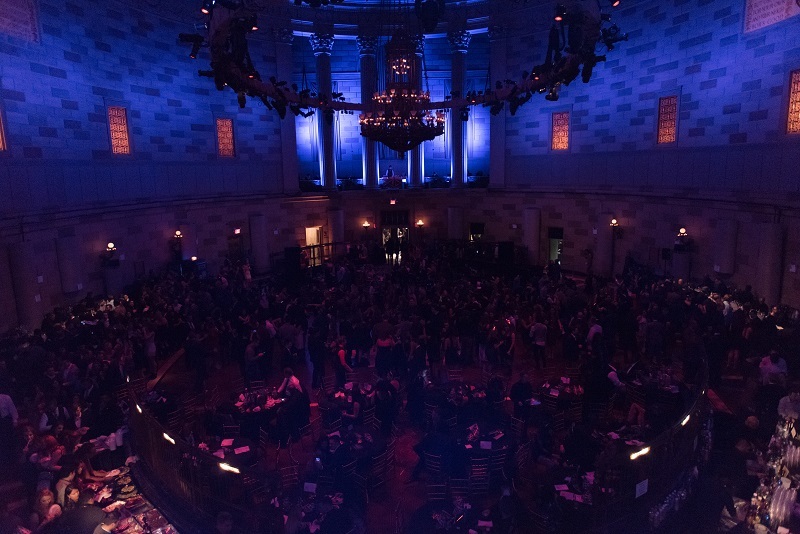 So reward yourself like the celebrity you really are by celebrating in style this new years eve and get your ticket to the Gotham Hall NYE party.